Enrico Sangiuliano is a Producer, Performer & Sound Designer born in Reggio Emilia, Italy, the exact period is not quite known to experts. Little Enrico spent his childhood manifesting a particular adoration for percussion, creating real performances on pots and pans, school benches, traffic signs and the drums. After hitting any kind of existing material he realized that computers could create sounds on surfaces unknown to reality and make them reverberate in virtual non-existent spaces. He began performing through DJ-ing at illegal rave parties, playing at the most important raves held in Italy since 2003 and earning space thanks to his numerous unreleased productions that became the rave anthems. 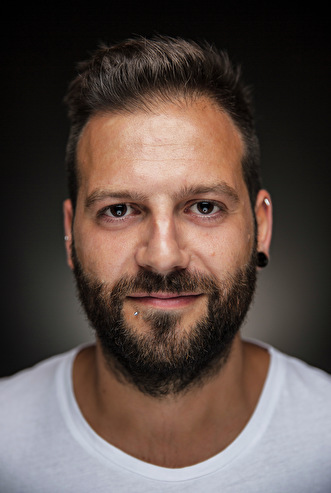 In recent years, Enrico released his tracks on world's leading labels like Drumcode, Truesoul, Alleanza, Gem Records, Octopus Recordings, Driving Forces and Rhythm Converted becoming one of the 100 most selling Techno producers in 2014. International recognition followed in the Techno scene due to his distinctive tracks that are big, multi layered and mind blowing. Gaining respect and support from the top notch artists like: Sven VaÌˆth, Adam Beyer, Joseph Capriati, Karotte, Gregor Tresher, Alan Fitzpatrick, Pan-Pot, Stephan Bodzin, Sam Paganini, Secret Cinema, Tom Hades and many more. Collaborations and remixes have been made with various music legends such as Armand van Helden, Mauro Picotto and Secret Cinema. Next to his studio production work, Enrico's national DJ career is constantly increasing. In addition to his residency at TECH Club in Parma, crowds have been proving the growing demand for his sound globally. Be prepared, Enrico will be heard, seen and loved all over the world! Alan Fitzpatrick, Chris Liebing, Chris Stussy, Eats Everything, Enrico Sangiuliano, Ferro, Gregor Tresher, Joey Daniel, Karotte, Makossa, Mathias Kaden, Michel de Hey, Prunk, ROD, Samuel Deep, Secret Cinema, Sven Väth, Wouter S.
Net leren kennen op Awakenings: heeeeelemaal te gek! !